What we refer to simply as “cramps” is actually called “Dysmenorrhea” in the medical field. There are a few ways to medically describe what’s happening in there to cause such pain. The first thing you need to know is that every month of the female’s life her body is preparing for fertilization. Part of this process includes the thickening of the cellular layer of the uterus. 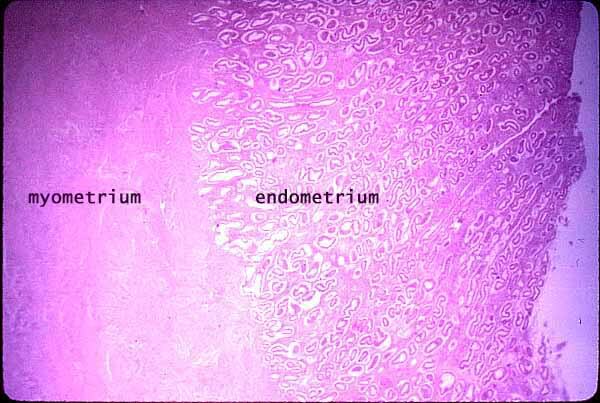 So, in preparation the innermost lining, called the endometrium, thickens and readies itself for implantation. If this doesn’t occur, then that layer of cells begins sloughing off, tearing itself away from the other layers of the uterus (imaging the skin on your arm start separating and then falling off in pieces – change that, how about just being ripped off in pieces). During this process of sloughing, the prostaglandin starts producing this hormone which causes the uterus to contract, temporarily shutting down blood flow to the uterus, depriving the muscles therein of oxygen and other necessary nutrients. This, supposedly, decreases the pain we would feel if all the nerves were working properly. So, at the end of the day what you need to know is that our uterus’ are oxygen-deprived and having a layer of skin ripped off – which hurts. A lot. 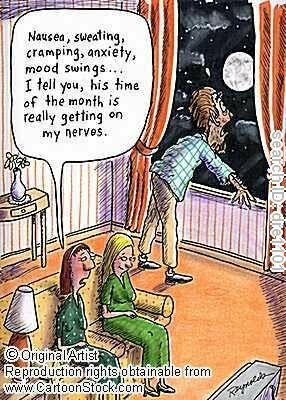 In fact, sometimes it feels like a bonfire has been started in our abdomen and little savages are hopping around digging their axes into the sides of our uterus. Not fun. Have some compassion. is this a not-so-subtle dare for men to comment? Joel, if I could have made a guess which male reader would comment, it would have been you. Love it. Is this a response to our “nose hair” conversation? That cramping stuff sounds bad too.